Turn back the clock to 1962. 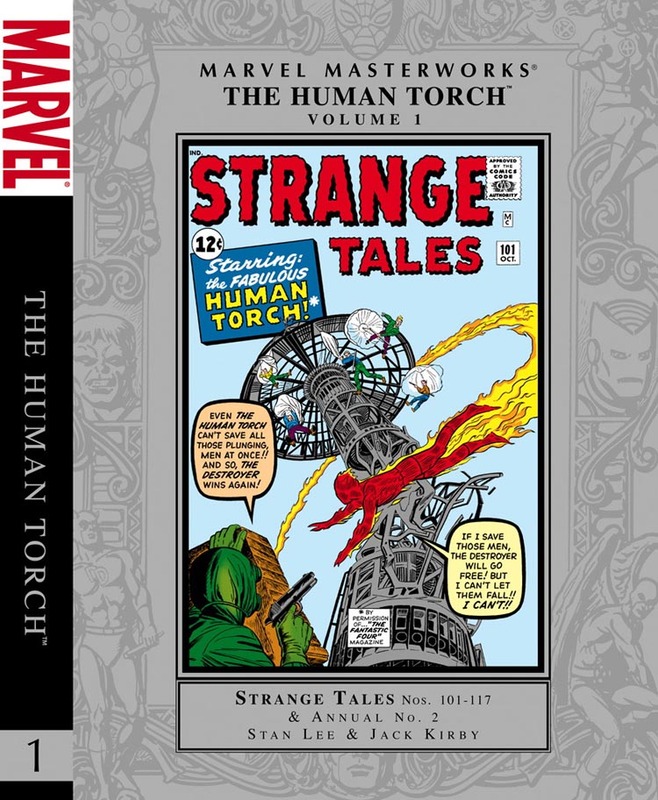 After the debut of a quiet little magazine called The Fantastic Four and a relatively unknown teen hero named Spider-Man, Mighty Marvel decided to go out on a limb and put these two risky ideas together into a featuring starring…The Human Torch. 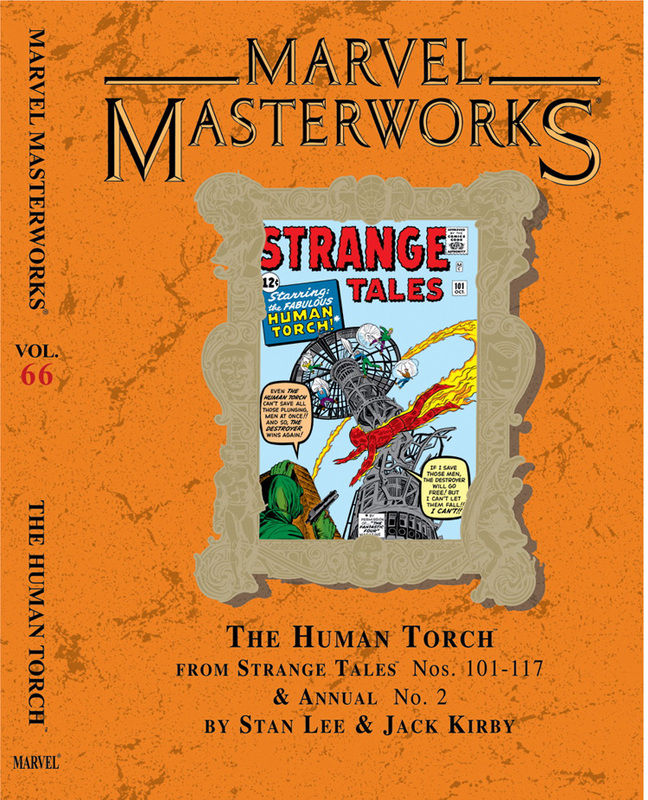 With Jack Kirby on art, man, talk about yer risky business, True Believers. But, believe it or not, yes, even with that kind of pedigree it was a sure-fire hit! 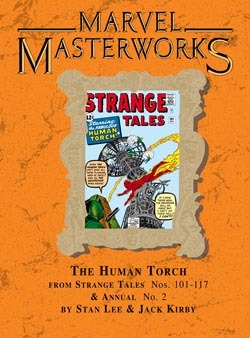 Johnny Storm the thrill-seeking, impulsive teen wonder of the Fantastic Four set the world on fire in these scorchin’ solo stories! He’s going to head-to-head against none other than Namor the Sub-Mariner, Spider-Man, Captain America, Paste-Pot Pete, the Wizard, the Sandman and the Living Bomb! If that ain’t diagnosis teenage angst, than you can call me Freud! 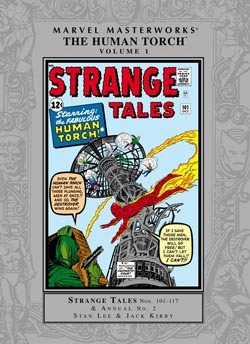 Collecting Strange Tales #101-117 and ANNUAL #2.